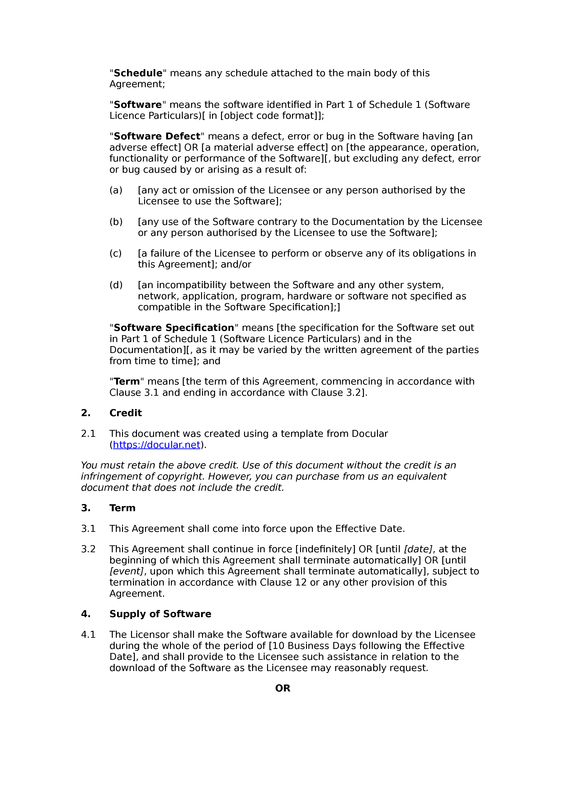 This is a straightforward software licensing agreement, designed for the granting of licences to businesses (as opposed to consumers). 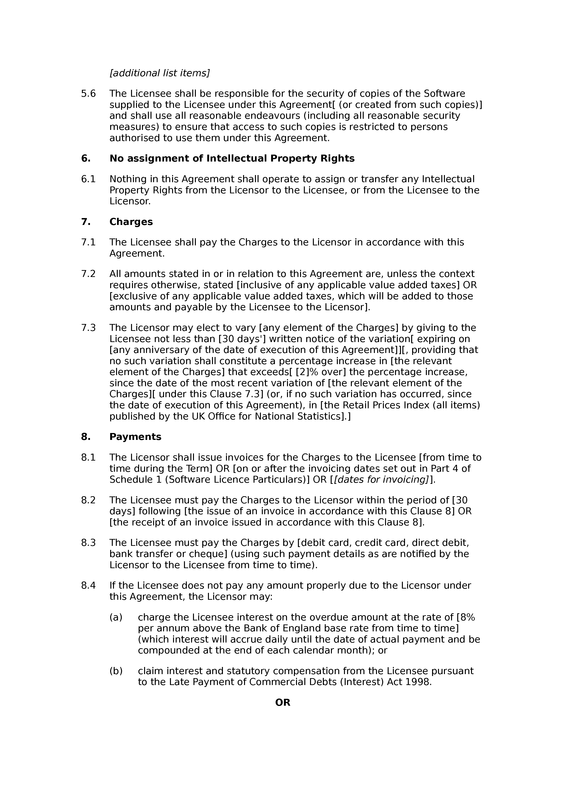 The document is a traditional "agreement", and should be signed by or on behalf of both the licensor and the licensee. 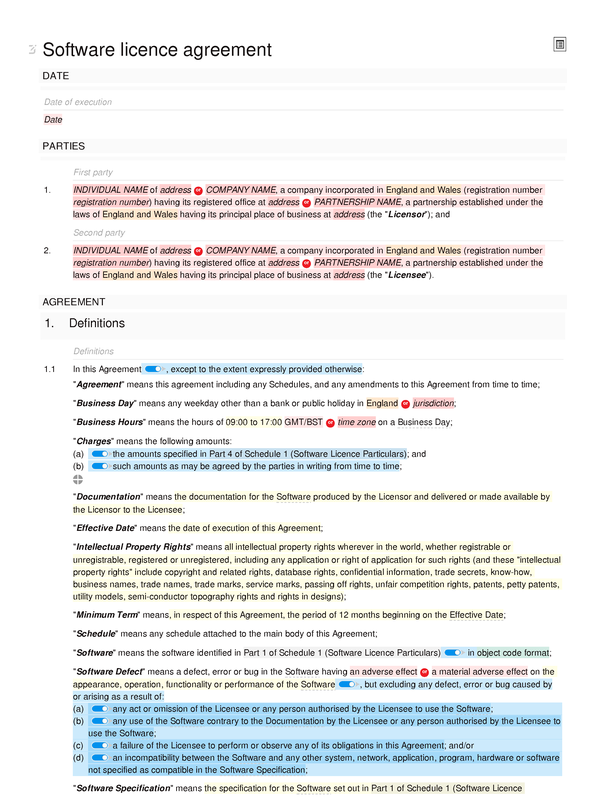 The core provisions of this agreement cover the term of the licence, the scope of the licence, licence charges and payments, limitations of liability in relation to the use of the software, termination of the licence agreement for cause or convenience, and standard boilerplate clauses. 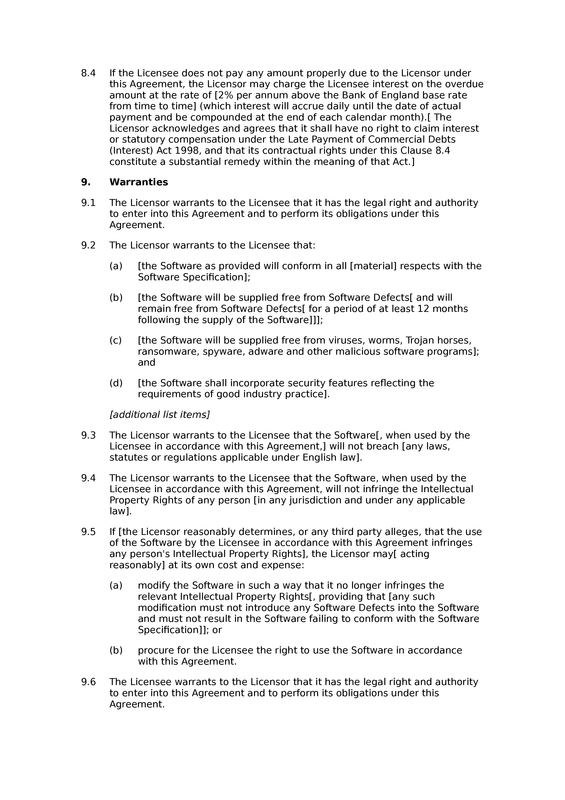 There are fewer optional provisions here than in the standard and premium versions of the software licence agreement. Optional provisions that are included cover the supply of the software, express reservations of intellectual property rights, warranties and warranty limitations, and contractual notices. 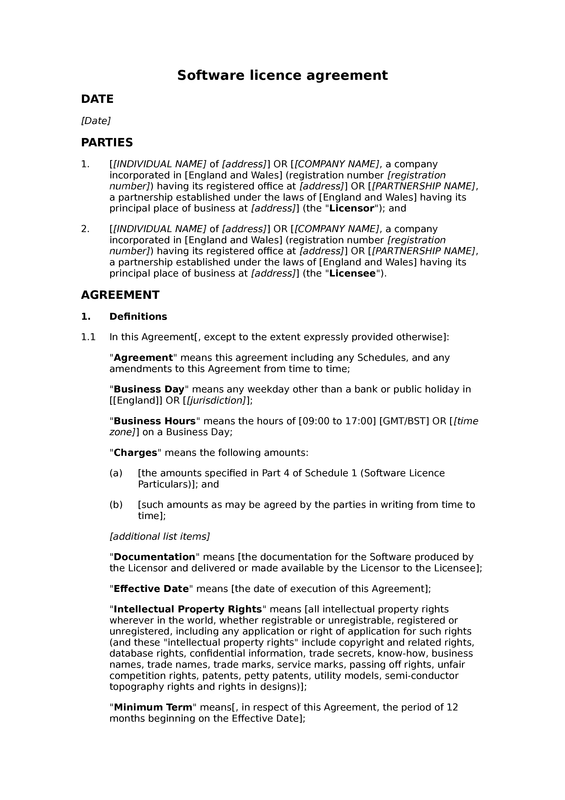 Supply of Software: making software available for download; delivery of software; acknowledgement of supply of software. 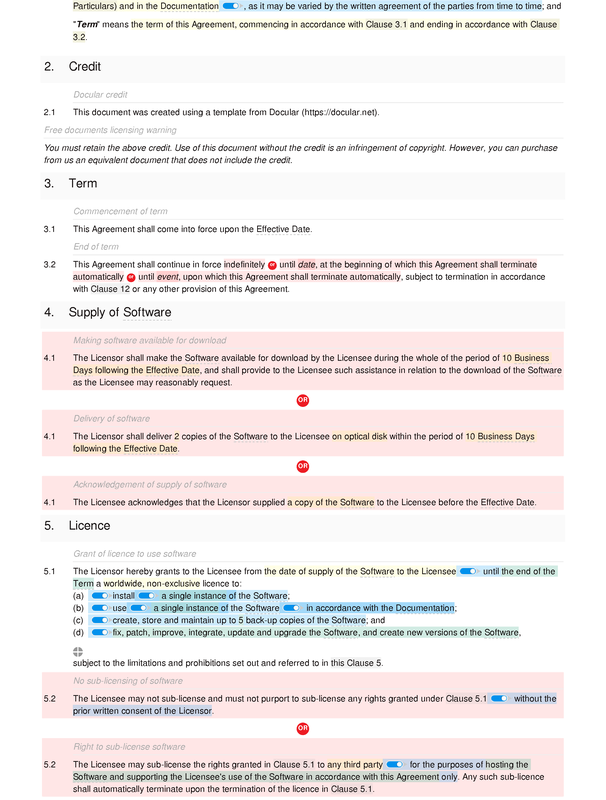 Licence: grant of licence to use software; no sub-licensing of software; right to sub-license software; software licence limitations; use of software limited to specified persons; software licence prohibitions; security of licensed software. Charges: obligation to pay charges; amounts inclusive or exclusive of VAT; variation of charges. Warranties: first party warranty of authority; software licence warranties; warranty of legality of software; software intellectual property infringement warranty; breach of software infringement warranty; second party warranty of authority; exclusion of implied warranties and representations. 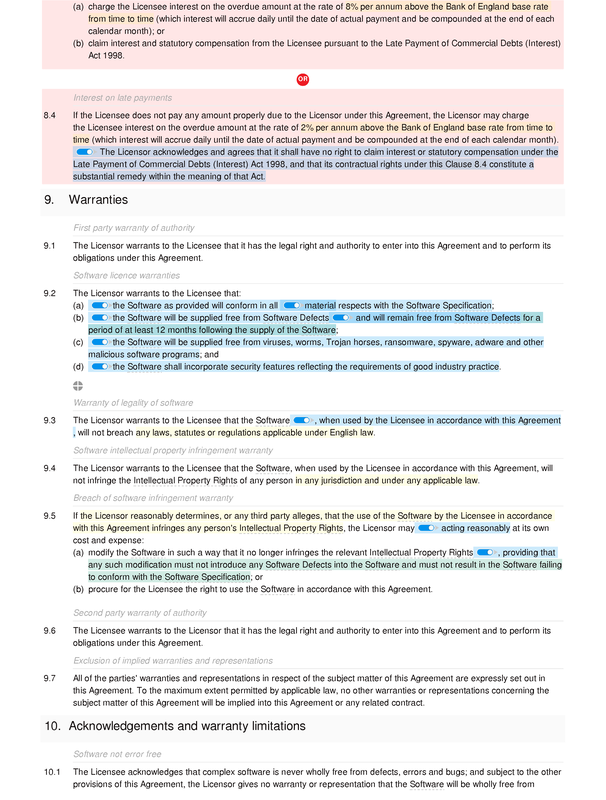 Acknowledgements and warranty limitations: software not error free; software not entirely secure; software compatibility is limited; no legal etc advice with software. Termination: termination without cause by first party; termination without cause by second party; termination upon breach; termination upon insolvency; termination upon non-payment. 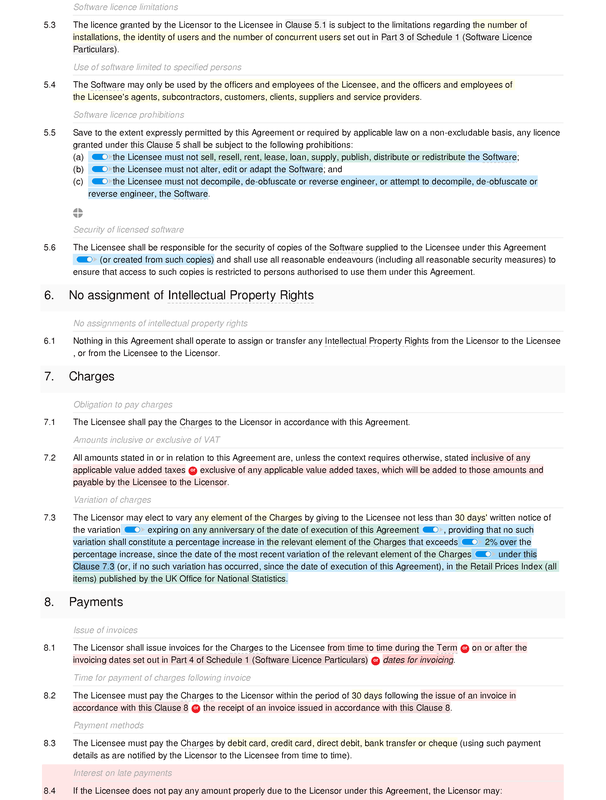 Effects of termination: surviving provisions upon termination; termination does not affect accrued rights; software licences on contract termination; software copies on contract termination. Specification of Software: specification of software prompt. 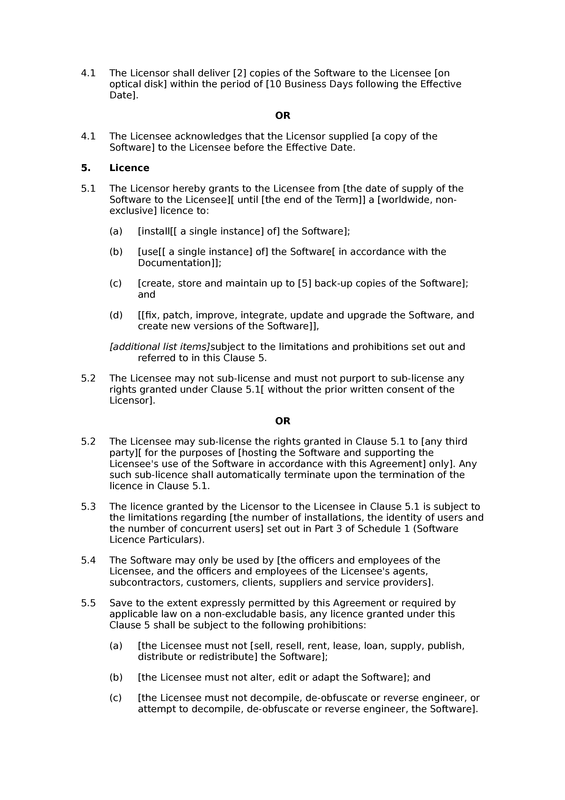 Software licence: specification of software licence prompt.